Don’t forget to sit down with your family this week for your Thrive Devotion! Pick up a printed version at any location on Sunday or use this online version. After last week’s craziness our family did our devotion on Tuesday night (instead of Saturday!) It was a good discussion for us. We all listed some things to sell on Craig’s List, Niki and I will cut back on coffee out, Kaleb has some back tithes to pay, Noel has some extra money to give and Danielle is collecting her coins to give for our Thrive offering. Feel free to reply below or on Facebook how your devotions are going or any good news about your Thrive journey! Proverbs was written by King Solomon who was one of the wealthiest men that ever lived. He earned over 25 tons of gold annually! The bible describes him as the wisest of men. Solomon wrote Proverbs to teach us truths about life. He knew from experience that money and riches do not satisfy; only a relationship with God brings meaning and satisfaction. Being right with God and being generous brings God’s blessings. We can THRIVE by trusting in God instead of money. Why is it easy to trust riches instead of God? How would you describe a generous person? Who do you know that is generous? In what ways is God generous? In what ways should we be like God in our generosity? How can I be more generous this year? THRIVE CHALLENGE: Ask the Lord to show you an area in your life that you could make a sacrifice (ex. reduce a bill, sell a possession, fast a coffee, coke or meal regularly, etc.) causing you to THRIVE by giving to God’s work. THRIVE CHALLENGE: Hold a family garage sale or put several items on Craigslist and give the proceeds to toward your THRIVE Offering on June 5th. 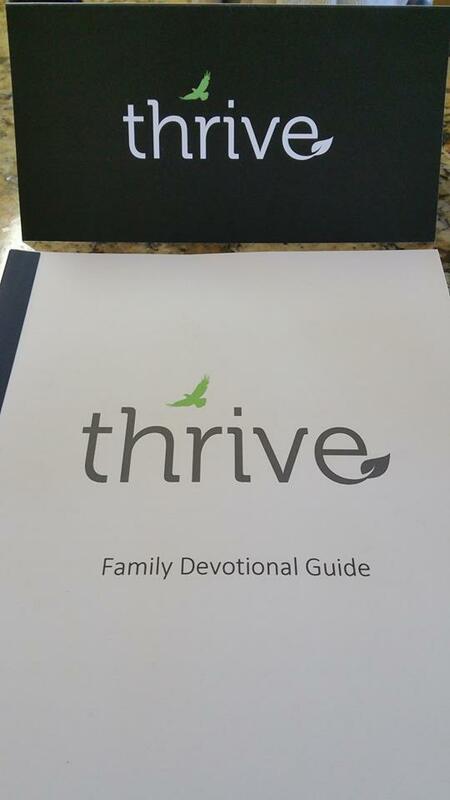 This entry was posted in THRIVE and tagged family, Family Devotions, Generosity, Giving, tithe. Bookmark the permalink.